Even those who’ve served in the military don’t always understand the great loans available to buy their home thru the Veteran’s Administration. Who qualifies? What are the advantages and benefits? And does it take any extra time to process? All these questions and more are answered this week by our hosts, Hamid and Fay Hamadanchy as they look at one of the least understood Federally guaranteed loan programs available to all our veterans on this week’s installment of the OC HOUSING CONNECTION, right here on Orange County’s only community radio station, http://www.OCTalkRadio.net. Is it against the law to fish with your hands in Kansas? Or walk barefoot in Texas without a $5 permit? Take the IS IT A LAW challenge in our weekly public policy show THE CITY SQUARE along with our guest this week, Orange County’s elected Auditor-Controller Eric Woolery as he sharpens his pencil and breezes thru this test, getting 4 out of 5 right. How about you? 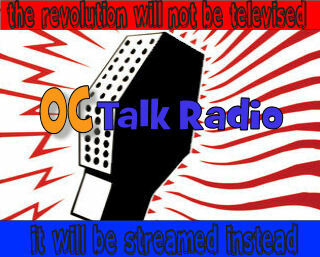 Only on Orange County’s only community radio station, . Brought to you by the Association of California Cities-OC and the OC’s largest law firm, Rutan and Tucker.